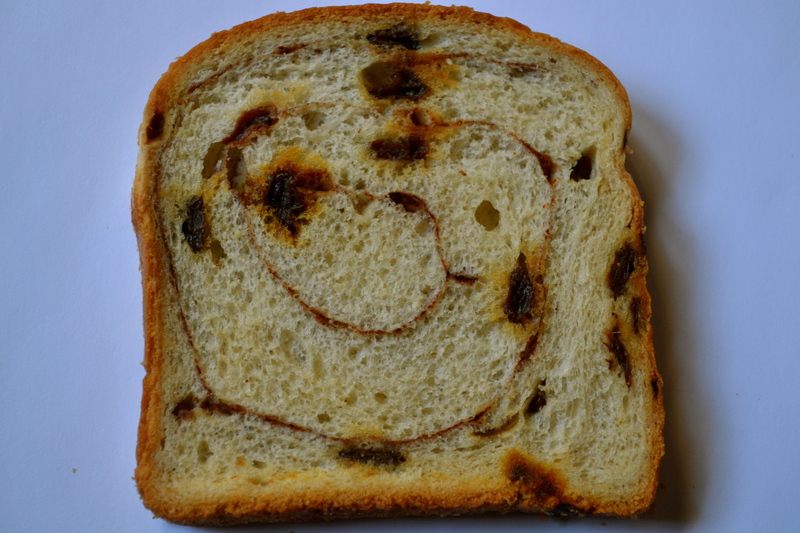 I’m generally not a french toast fan, but cinnamon raisin bread is a weakness of mine. So I figured that of all french toast recipes, one with cinnamon raisin bread and cream cheese-stuffed goodness would likely win me over. This is a great make-ahead dish and it serves a group. The original recipe serves 10 to 12, which I have brought to work. But the recipe I provide below has been reduced by half since I don’t normally feed a football team. But feel free to double or triple the recipe. It would be perfect for a brunch or even on Christmas morning. The warm smell of cinnamon makes me wobbly at the knees….ya, it doesn’t take much. I adapted this recipe from Cooking Light, cutting down the sugar because the cinnamon bread provided plenty of sweetness. I also added apples, which provided a good tartness and brought this breakfast up to an 11…well, maybe an 8. I think it makes this dish a winner! Oh ya, and it’s stuffed with cream cheese…so duh…it’s good. Note: A variety of fruits and nuts could be added to the filling. Think cranberries, apples, blueberries, toasted almonds, walnuts, or pecans. Trim crusts from bread. Spray a 11 x 8-inch baking dish nonstick cooking spray. Arrange half of the cinnamon raisin bread the bottom of the baking dish. Combine milk, 3 eggs, half-and-half, and 1/4 cup maple syrup in a large bowl, stirring with a whisk. Pour half of milk mixture over bread in dish. 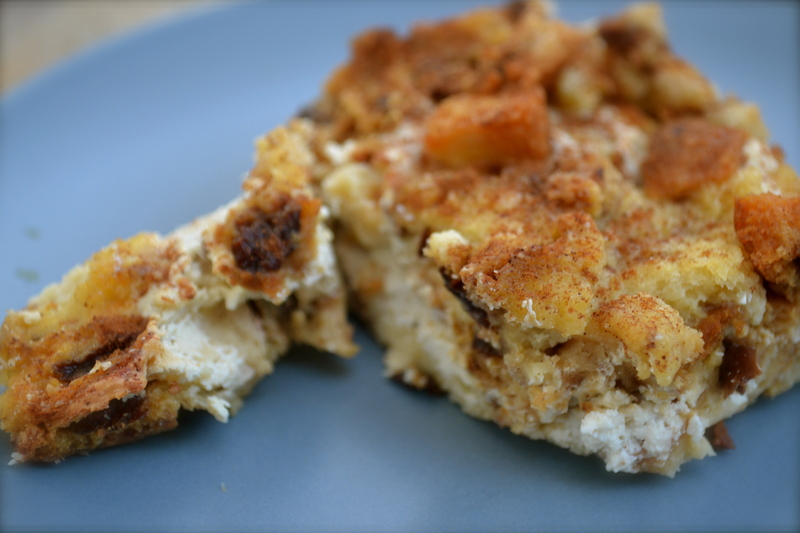 Combine 1 egg, diced apple, brown sugar, vanilla, cinnamon, nutmeg, and cream cheese in a mixer until smooth. Pour this cream cheese mixture over moist bread in dish. Place the remaining cinnamon bread over the cream cheese mixture. Pour remaining milk mixture over cinnamon bread. Cover and refrigerate at least 8 hours or overnight. Uncover and bake at 350° for 45 to 55 minutes. Let stand 10 minutes before serving. I want it! May have to fix when Ian comes home. Thanks for the great idea. Yummm. I’m still trying to perfect this cranberry orange French toast concept but cinnamon raisin with cream cheese sounds totally amazing. I am not sure. The bread may dry out. Give it a try, just be sure it is well wrapped and sealed. I bet you could prepare in advance and freeze it. Then pull it out of the freezer the day before and allow it to thaw. Let me know how it goes.